One of the most widely used blogging and content management systems to date is WordPress. Loved for its open source software, engaging global community and relative ease of use, WordPress is a fabulous space to begin operating in. Despite the easy-to-use nature of WordPress, new users may find the initial set up a bit confusing. To assist with this teething stage, we’ve written a blog post to help navigate through one of the fundamental processes: downloading and installing WordPress. We’ll follow up with an in-depth guide of various WordPress installation methods in a later blog post. Before beginning, it’s important to note that some hosting service companies come with already integrated software that allows for a1-click install of the WordPress files. If you don’t want to go through the process of downloading WordPress and installing it on a live server, contact your host to check if whether they include a 1-click install. Powering almost 30% of the internet, WordPress is the world’s leading CMS (Content Management System) that uses a PHP and SQL framework to allow users to create their own website. With origins in the blogging space, WordPress has evolved to become a multipurpose website building platform. 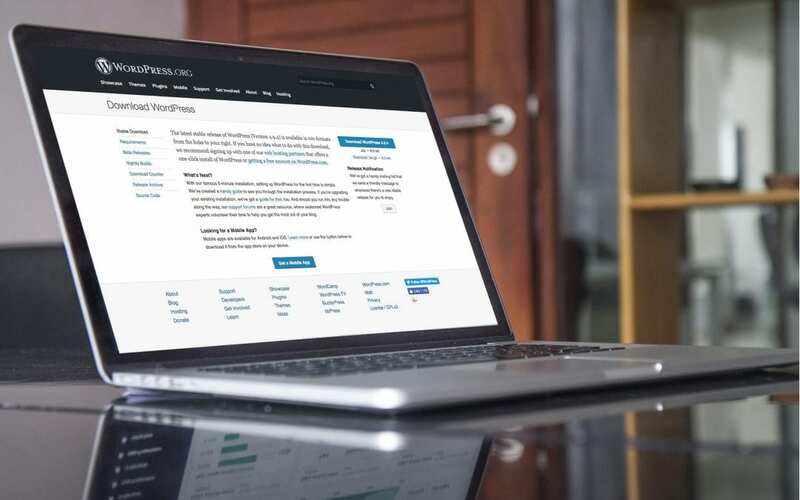 As one of the preferred website platforms, WordPress caters to the broad range of needs of businesses and individuals, seeing hobbyist bloggers, small to medium-sized businesses and even large-scale corporations all able to create a WordPress website with relative ease. WordPress is available in two different forms: WordPress.com and WordPress.org. Where WordPress.com is a paid service, seeing users need to pay for hosting, maintenance, themes plugins and other extra services, WordPress.org, on the other hand, is 100% free and always will be. 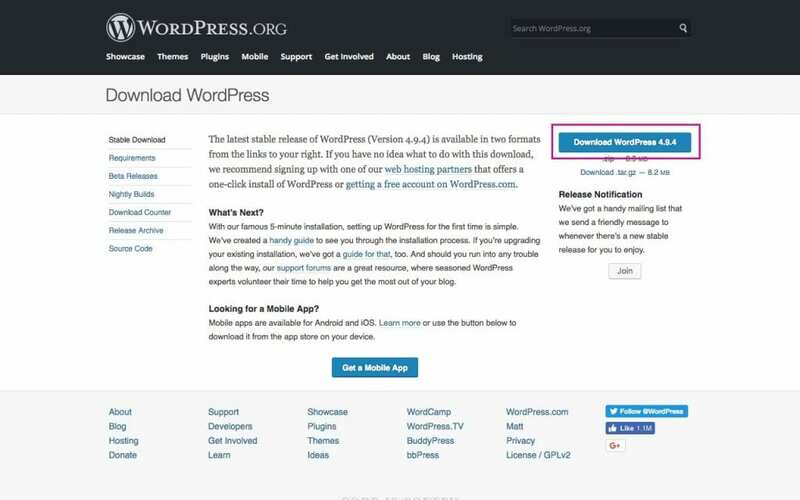 The tradeoff with using the free software from WordPress.org is that the user will be responsible for all of the website’s workings, and will need to be able to navigate through a few heady concepts and processes. When required, install various plugins to suit your needs. Once you have purchased a domain and web hosting, you’ll need to download WordPress. If you’re still uncertain about which website hosting package to select, we recommend watching Episode 68 of Divi Chat where the panel discusses the difference between various hosting packages and how they go about selecting the right one for their web builds. To download WordPress, head over to the WordPress.org Repository. The WordPress repository is where all of the free WordPress software and tools (WordPress core files, themes and plugins) can be downloaded. Click the blue Download WordPress button and the WordPress core files will start downloading automatically. Once the download is complete, you’ll see a new .zip file named ‘WordPress’ followed by the version number (i.e. 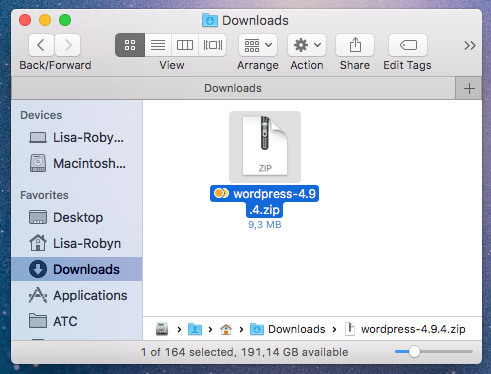 wordpress-4.9.4.zip) in your downloads folder. Now, double-click on the folder to unzip the contents. Here, you’ll find a collection of files and folders. 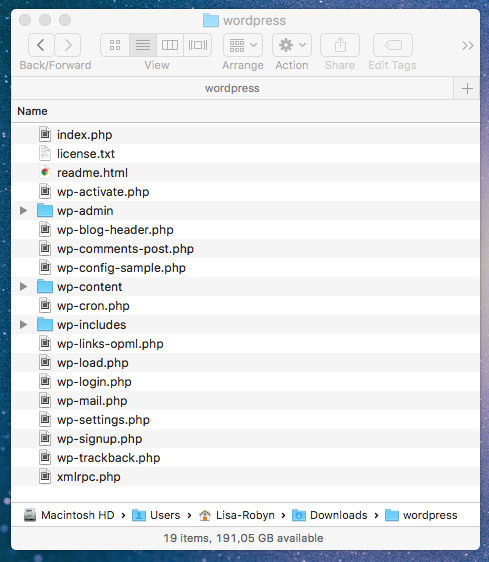 If you’re new to WordPress, these files will look totally confusing at first glance, but over time, you’ll become familiar with the file and folder structure. Install WordPress on a live server. As opposed to purchasing server space for development and testing environments, developers will work locally using a local host or local server. Bypassing the need for a live server, enabling a localhost essentially turns your computer into a server. 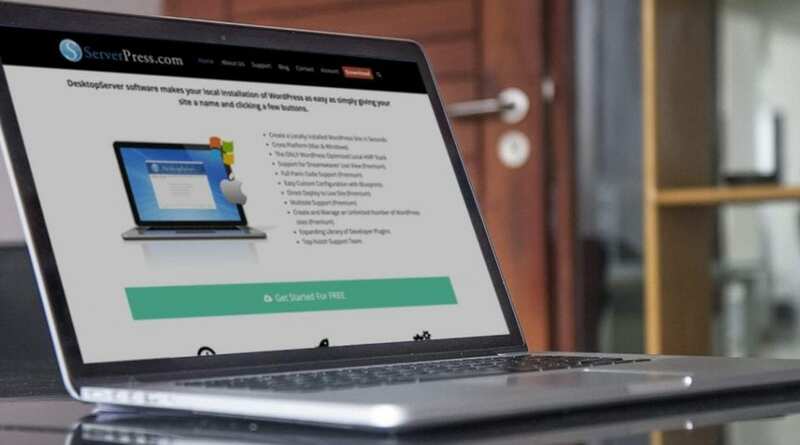 Great for users who work remotely or who don’t have access to steady and stable internet, a localhost allows the user to continue building a website, independent of an internet connection. The great thing about local sites is that you can have multiple installations, and so, multiple testing or development environments. Local host software is free to use, and as this negates the need to pay for web hosting, using a local host is the perfect way to play around with WordPress without fiddling around on a live site. Each of the tutorials above include guides that explain the process of installing WordPress with the respective local hosts. If you’re ready to begin working on a live site, there are three different options for getting started with WordPress. We’ll cover all of these methods in-depth in a follow-up blog post next week. We hope that you have enjoyed this post. Be sure to check out the Aspen Grove Studios blog for the full break down of WordPress installation methods. If you have any questions or comments, leave them below – we love receiving your feedback! You should also say a few words about the folder and file rights! Great, great article Ramsay. I really love the advice you gave about not compromising the relationship with your audience for a few quick bucks early on.